Why not try entering your cockatiel in a bird show. This can be a great experience for both you and your bird. The first thing that you will need to do is contact your local bird club and see what is on offer. Do they have someone on hand to show someone new the ropes when showing their cockatiels? 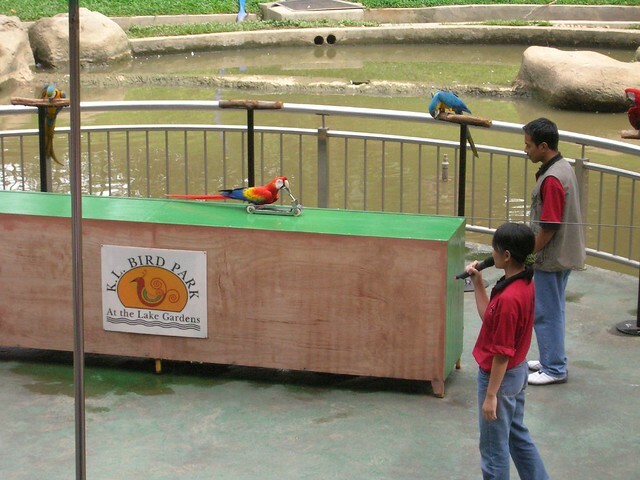 You should visit a bird show first and see what types of birds get first prizes. Ask for advice on training your cockatiel for these types of events. To find out what is happening in your area, you should find plenty of information at your local pet shops or vets. Your best bet would be to contact the organizers of the show and ask them for a catalog. You may need accommodation details if you are an out of towner. When looking through the catalog make a special note of the time that the categories that you want to enter start, as late entries are not usually accepted. The show catalog also lets you know what the classes are that will be judged and what the rewards will be. Make sure that you fill in the forms correctly and enter your cockatiel in the right category, or you could be disqualified. There are various standards that are expected when showing your bird. The most common standards used today are ACS Standards and NCS Standards. The judges judge against these standards, so it is a good idea to know what they are looking for. Both standards have a point system and a visual system that are marked. Once you know what the judges expect, you can start grooming and training your cockatiel. You need to have a cockatiel that shows grace under pressure. Your cockatiel must be able to withstand the pressure of lots of people around and adjust to lots of strangers tapping on his cage. A good show cage will be needed in order to showcase your cockatiel. The show cage must be in maculate condition and most importantly, clean. Let your cockatiel get used to the cage before the day of the show, and encourage it to sit on the perch and be as still as possible. This type of training can prove challenging with active cockatiels. Try having some friends over for a fake bird show to get your bird used to lots of strangers. Before entering your cockatiel in a show, make sure he is fully feathered. Your cockatiel should have no pin feathers visible. Wings and nails must be trimmed and feet and beak cleaned. If you regularly mist your cockatiel with clean warm water, it will encourage him to preen himself more often, which will make his feathers look wonderful. Most importantly, when entering your cockatiel in a bird show, learn to be a good winner as well as a good loser. For more cockatiel food, visit http://cockatielsaspets.com.